The end link is all aluminum to resist corrosion. The turnbuckle and spacers are made of 6061-T6 due to this being a low strength application. The rod ends and jam nuts are made 7075-T6. The end link can be adjusted on the car. We were able to increase stiffness by over 300% vs. OEM while shaving off a few grams in the process. We also have a wide range of adjustment, being able to set it from around 9.5″ (OEM length) to 8.75″. The entire assembly as pictured should weigh around 1 lb. The socket head cap screw and nylon lock nut are made of stainless steel. 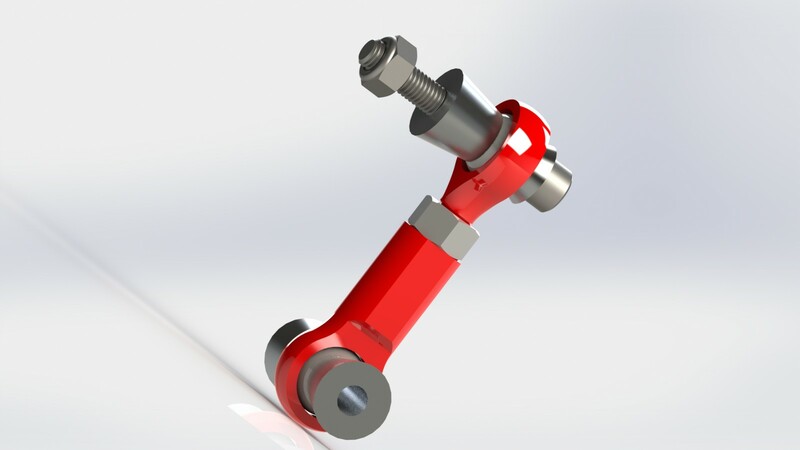 Unfortunately, because the end link is so short, we could not make it adjustable on the car without making custom rod ends, we’re sorry, we tried. Like the front end links, the spacers are made of 6061-T6, the rod ends and jam nut are 7075-T6. The socket head cap screw and nylon lock nut are stainless in this application as well. The assembly should weigh about .35 lbs. 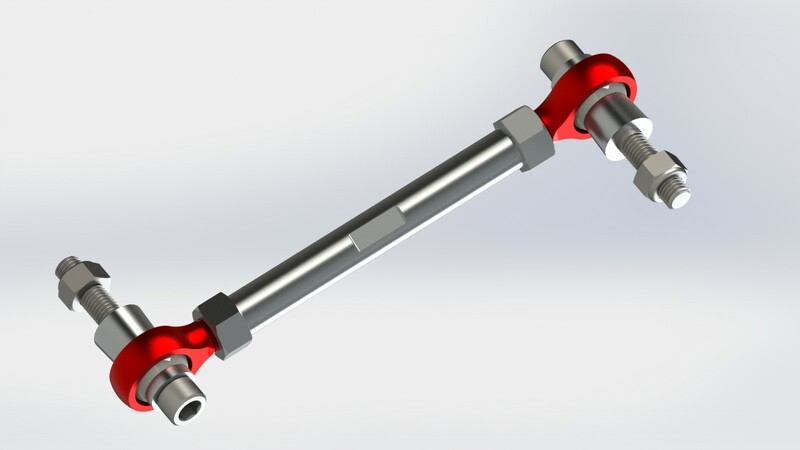 This entry was posted in BRZ, design, FR-S, GT86, modeling, suspension and tagged anti-roll bar, end links, endlinks, sway bar on April 5, 2013 by Earl.